In addition to being regulated by the Fair Debt Collection Practices Act (FDCPA), Arizona collection agencies are also regulated by Arizona debt collection laws. Discover: Arizona collection requirements, bad check laws (NSF), statutes of limitations for both debts and judgments, garnishments plus Arizona collection agency license and bonding information. Written Contract: 6 in AZ. – 4 outside AZ. Twice the amount of check, costs of suit, reasonable attorney fees. (a) Obligations for the payment of money to another, in the form of conditional sales agreements, notwithstanding the personal property sold thereunder, for which payment is claimed or may be or is repossessed in lieu of payment. (i) The final payment has not been tendered to the seller or assignor. (ii) Title has not yet passed. (iii) The purchaser or assignee has a right of recourse against the seller or assignor. (a) All persons engaged directly or indirectly in soliciting claims for collection or in collection of claims owed, due or asserted to be owed or due. (b) Any person who, in the process of collecting debts occurring in the operation of his own business, uses any name other than his own which would indicate that a third person is collecting or attempting to collect such debts. 3. “Department” means the department of financial institutions. 4. “Financial institution” means a person who does business under any other law of this state or law of another state or the United States relating to banks, trust companies, savings and loan associations, credit unions and savings banks. 5. “Person” means an individual, firm, partnership, association or corporation. 6. “Superintendent” means the superintendent of financial institutions. 2. A person regularly employed on a regular wage or salary in the capacity of credit person or a similar capacity, except as an independent contractor. 3. Banks, including trust departments of a bank, fiduciaries and financing and lending institutions. 5. Title insurers, title insurance agents and abstract companies while doing an escrow business. 6. Licensed real estate brokers. 7. Employees of licensees under this chapter. 8. Substation payment offices employed by or serving as independent contractors or public utilities. 12. A participant in a finance transaction in which a lender receives the right to collect commercial claims due the borrower by assignment, by purchase or by the taking of a security interest in those commercial claims. (a) Does not accept accounts that are contractually past due at the time of receipt. (b) Does not initiate any contact with individual debtors except for the initial written notice of the amount owing and one written follow-up notice. (c) Does not give or send to any debtor a written communication that requests or demands payment. (d) Does not receive or have access to monies paid by debtors or their insurers. (e) All communications with the debtors are done in the name of the creditor. 14. A person collecting claims owed, due or asserted to be owed or due to a financial institution the deposits of which are insured by an agency of the federal government, or any affiliate of the financial institution, if the person is related by common ownership or affiliated by corporate control with the financial institution and collects the claims only for the financial institution or any affiliate of the financial institution. 15. A person who is licensed pursuant to title 20, chapter 2, article 3, 3.1, 3.2, 3.3 or 3.4 [FN4] and who is authorized to collect premiums under an insurance policy financed by a premium finance agreement as defined in § 6-1401. 1. A transaction shall not be deemed a finance transaction if the primary purpose is to facilitate the collection of claims. 2. “Commercial claim” does not include an account arising from the purchase of a service or product intended for personal, family or household use. 1. The name, address, telephone and telefacsimile numbers of the creditor. 2. The amount due and an itemization of that amount. 3. The date payment is due. 4. The address or place where payment is to be made. 5. If the payment is past due, that payment is past due. D. For a person who is exempt under subsection A, paragraph 14 of this section, the superintendent shall investigate complaints of residents of this state relating to any violations of § 32-1051, paragraphs 2 through 7 or § 32-1055, subsection C or subsection D, paragraph 1, 2, 3 or 5 and may examine the books, accounts, claims and files of a person that relate to the complaint. A person who is exempt and who violates the provisions of § 32-1051, paragraphs 2 through 7 or § 32-1055, subsection C or subsection D, paragraph 1, 2, 3 or 5 is subject to the provisions of §§ 6-132, 6-136 and 6-137. A. A person desiring to conduct a collection agency shall make an original application to the department upon forms prescribed by the superintendent setting forth verified information to assist the superintendent in determining the applicant’s ability to meet the requirements of this chapter. 1. A financial statement in the form provided in § 32-1022, showing the applicant’s assets and liabilities and truly reflecting the applicant’s net worth in cash or its equivalent. C. The superintendent may require from all applicants additional information that the superintendent deems necessary in determining whether the applicant is entitled to the license sought. 1. The collection of debts from debtors who reside in this state, regardless of where the licensee is located. 2. The collection of debts made from an office in this state, regardless of where the debtor resides. 3. The collection of debts made on behalf of creditors who reside in this state, regardless of where the debtor and the collection agent reside. A. The financial statement required by § 32-1021 shall be sworn to by the applicant, if he is an individual, or by a partner, director, manager or treasurer in its behalf if the applicant is a partnership, corporation or incorporated association. The information in the financial statement shall be confidential and is not a public record. B. The bond shall run to the people of the state and shall be executed and acknowledged by the applicant as principal and by a corporation, licensed by this state to transact fidelity and surety insurance business, as surety. The bond shall be continuous in form and shall remain in full force and effect at all times while holding a license. The bond shall be conditioned that the applicant, within thirty days from the last day of the month in which a collection is made, shall make an account of and pay to the client the proceeds collected for him by the applicant, less charges for collection in accordance with the agreement between the applicant and client, but when the amount due the client is less than five dollars, payment may be deferred for an additional thirty days. C. Any surety company intending to withdraw as surety of any licensee shall give sixty days’ notice of such intention to the superintendent, which notice shall be by registered mail and shall also give sixty days’ notice by registered mail to the licensee addressed to his last known address. When a surety shall for any cause cancel the bond of any licensee, the superintendent shall immediately notify such licensee by registered mail addressed to his last known address as shown by the files of the department. The license of any licensee shall be void unless, prior to the termination, a new bond has been filed with the department. A licensee changing his surety shall file a new bond with the department with a surety on the new bond meeting the qualifications of this section. 2. Certificates of deposit, investment certificates or share accounts which are payable or assigned to the state treasurer, issued by a savings and loan association or savings bank doing business in this state and fully insured by the federal deposit insurance corporation or any successor institution. E. The superintendent shall deposit the cash or alternative to cash received under this section with the state treasurer. The state treasurer shall hold the cash or alternatives to cash in the name of this state to guarantee the faithful performance of all legal obligations of the person required to post bond pursuant to § 32-1021, subsection B. The person is entitled to receive any accrued interest earned from the alternatives to cash. The state treasurer may impose a fee to reimburse the state treasurer for administrative expenses. The fee shall not exceed ten dollars for each cash or alternative to cash deposit and shall be paid by the applicant for a license or renewal of a license. The state treasurer may prescribe rules relating to the terms and conditions of each type of security provided by this section. 1. The date of substitution of a bond for a cash alternative. G. A suit may not be commenced on a bond or cash or alternatives to cash later than three years following the act or acts on which the suit is based, except that for claims of fraud or mistake, the period of limitations shall be measured as prescribed in § 12-543, paragraph 3. 1. Be a citizen of the United States and be of good moral character. 2. Not have been convicted of a crime involving moral turpitude. 3. Not have defaulted on payment of money collected or received for another. 4. Not have been a former licensee under the provisions of this chapter whose license was suspended or revoked and not subsequently reinstated. B. If the applicant for a license is a firm, partnership, association or corporation, the qualifications required by subsection A of this section shall be required of the individual in active management of the firm, partnership, association or corporation. C. When a licensed agency ceases to be under the active management of a qualified person, as defined in rules, notice of this fact shall be given to the superintendent within ten days. The licensee shall have ninety days after the termination of the services of the acting manager to replace the qualified person and notify the superintendent of the qualified replacement. If the agency is not placed under the active management of a new qualified person and notice thereof given to the superintendent within the ninety-day period, the license of the agency expires unless a provisional license has been granted under the provisions of § 32-1027. 1. Requirements for securing the license were, at the time of issuance, substantially the same or equal to requirements imposed by this chapter. 2. The state concerned extends reciprocity under similar circumstances to licensed collection agents of this state. 3. The application is accompanied by the fees and financial and bonding requirements set forth in this chapter. A. A person desiring to secure renewal of a collection agency license shall file a financial statement, make a renewal application to the department and pay the fees prescribed in § 6-126 not later than January 1 of each year upon forms prescribed by the superintendent setting forth verified information to assist the superintendent in determining whether or not the applicant is in default of or in violation of the terms of this chapter and whether the applicant is still meeting the requirements of this chapter. If the renewal applicant is unable to make a financial statement at the time of filing the application the applicant may make a written request for an extension of time to file such financial report, and if the extension is granted the applicant shall file a financial statement within thirty days after the issuance of a renewal license. B. A renewal license shall be issued February 1 each year upon application as provided in subsection A of this section. A. On receipt of an original application accompanied by the fees prescribed in § 6-126 and the financial statement and bond required by this chapter, the superintendent shall investigate the qualifications of the applicant and, if he meets the qualifications of this chapter, shall approve the application. If the application is approved, the license shall be promptly issued to the applicant. B. A license issued under the provisions of this chapter shall not be transferable or assignable and control of a license may not be acquired through a stock purchase or other device without the prior written consent of the superintendent. Consent shall not be given if the superintendent finds that the acquiring person does not meet the qualifications of this chapter. For purposes of this subsection, “control” means the power to vote more than twenty per cent of the outstanding voting shares of a licensed corporation, partnership, association or trust. 1. A provisional license issued to a personal representative or his appointee shall expire one year from the date of issuance and shall not be subject to renewal. Authority of the provisional licensee shall be limited to those activities deemed necessary to wind up the business of the former licensee. 2. Other provisional licenses shall expire three months from the date of issuance unless the provisional licensee within such period can qualify for a full license. Every original or renewal application shall be accompanied by the fees prescribed in § 6-126. 1. Meet the financial responsibility and bonding requirements of this chapter. 2. Not have been a former licensee under the provisions of this chapter whose license was suspended or revoked and not subsequently reinstated. 3. Deal openly, fairly and honestly in the conduct of the collection agency business. 4. Except for attorneys licensed to practice law, not attempt to collect any collection fee, attorney’s fee, court cost or expenses unless the fees, charges or expenses are justly due from and legally chargeable against the debtor, or have been judicially determined, nor shall any licensee engage in any unfair or misleading practices or resort to any oppressive, vindictive or illegal means or methods of collection. (a) Simulates any legal process. (b) Is ambiguous as to or misrepresents the character, extent or amount of the obligation of the debtor. (c) Represents or infers that the existing obligation of the debtor may be increased by the addition of attorneys’ fees, investigation fees, service fees, or any other fees or charges when in fact these fees or charges may not legally be added to the existing obligation of the debtor. (d) Threatens to sell the obligation of the debtor to any person, firm or group. (e) Uses or sets forth the name of or purports to be from any attorney at law or legal firm. 6. Except for attorneys licensed to practice law, not use any letterhead, or literature bearing any heading, slogan or statement representing or inferring that the licensee practices law, renders legal services or advice, or maintains a legal department. 7. Not by the use of any letterhead, advertisement, agreement, form, circular or other printed matter, or otherwise, convey the impression that the individual, firm, partnership, association or corporation is vouched for or is an instrumentality of the state, a political subdivision of the state, or the department. 1. Is insolvent as defined in § 47-1201. 2. Has shown that the applicant or licensee is not a person of honesty, truthfulness or good character. 3. Has violated any applicable law, rule or order. 4. Has been convicted in any state of any felony or other crime involving breach of trust or dishonesty. 5. Has had an order entered against the applicant or licensee by an administrative agency of this state, the federal government or any other state of the United States and that order is based on conduct involving fraud, deceit or misrepresentation by the licensee or applicant. 6. Has made a material misstatement or omission on the application for a license or on any document required to be filed with the superintendent. B. It is sufficient cause for the denial, suspension or revocation of a license if an officer, director, partner, employee or controlling person of the collection agency has acted or failed to act in a manner that would be cause for denial, suspension or revocation of a license. For purposes of this subsection, “controlling person” means a person who owns more than a twenty per cent equity interest in the collection agency and has the power to actively participate in the conduct of the collection agency. A. It is unlawful for a person to conduct a collection agency in this state without having first applied for and obtained a license under this chapter. B. A collection agency licensed under this chapter shall not directly or indirectly aid, abet or receive compensation from an unlicensed person. Nothing in this chapter shall prevent a licensed agency from accepting, as forwardee, claims for collection from a collection agency or attorney whose place of business is outside this state. C. A licensee shall not advertise a claim for sale or threaten to so advertise a claim as a means of endeavoring to enforce payment, nor shall a licensee agree to do so for the purpose of soliciting claims. This subsection shall not be deemed to affect a licensee acting as assignee for the benefit of a creditor or acting under a court order. 1. Fail to render an account of and pay to the client for whom collection has been made the proceeds collected, less collection charges as agreed to by the person and the client, within thirty days from the last day of the month in which the proceeds were collected. If the amount due the client is less than five dollars, payment may be deferred for an additional thirty days. 2. Fail to deposit with a local depository all monies collected by the person and due to the person’s clients, and to fail to keep these monies deposited until these monies or equivalent amounts are remitted to the person’s clients. Notwithstanding this paragraph, if a person conducting a collection agency does not maintain an office in this state, the person may deposit and keep these monies in a depository in a state where the person maintains the person’s principal office. 3. Fail to keep a record of monies collected and the remittance of these monies. 4. Fail to notify the department within ten days of any change of name under which the person does business as a collection agency or address at which the person conducts business. 5. Aid or abet, directly or indirectly, any person, persons or organizations in evading or violating any of the provisions of this chapter. A. 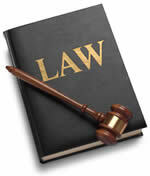 A person operating a collection agency without a license shall be guilty of a class 1 misdemeanor. B. A licensee violating the provisions of § 32-1055 or the rules and regulations adopted pursuant to this chapter shall be subject to revocation of license and shall be guilty of a class 1 misdemeanor. A. The prosecuting officer of a county or city shall prosecute all violations of this chapter occurring within his jurisdiction. B. An officer or agent of a corporation or association participating in a violation of this chapter by such corporation or association shall be subject to the penalties prescribed by § 32-1056 for an individual. Knowing and abiding to the proper Arizona debt collection laws is important for both creditors and collection agencies alike. There are debtor’s rights attorneys who are just waiting for creditors or collection agencies to slip up. If you mistakenly violate the Arizona debt collection laws, you could create a liability for your business and even open yourself up to a expensive lawsuit. Please note: Arizona debt collection laws can change over time, and you need to consult with an attorney before you use this information.